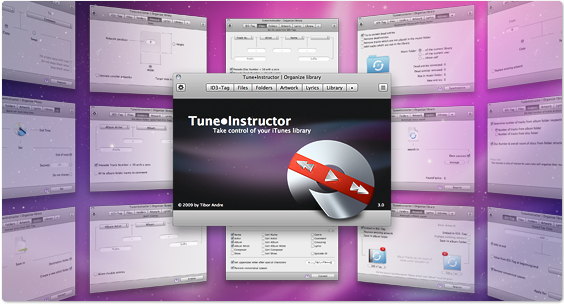 As a permanent attendant in the menu-bar, Tune•Instructor informs you about actual track information and allows you to keep a quick access to ratings and further basic functions without having iTunes in the front. A great last.fm integration and the ability to organize our library makes it the perfect discrete iTunes add-on. The controller allows you to have quick access to all the important basic features. Thus you do not have to move iTunes to the front. From the navigation menu you can easily access all the other program components. Furthermore Tune•Instructor visualizes the actual Last.fm status and if required forwards you directly to your personal profile. Cover search, id3 tag search&replace an much more. 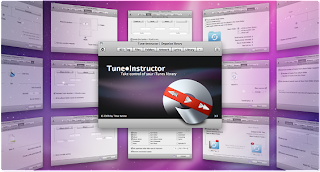 Great tool, freeware and one of the applications i use daily. That looks pretty sleek, but I prefer Bowtie over this one anyway. Don't want to make a pop-up appear to rate my songs, I want to see it right away. Besides, customisability is a huge plus.